Note: printing is not currently possible using a mobile device (iOS or Android). However, all users (regardless of where you signed up) can log-in to the web app using any internet browser. 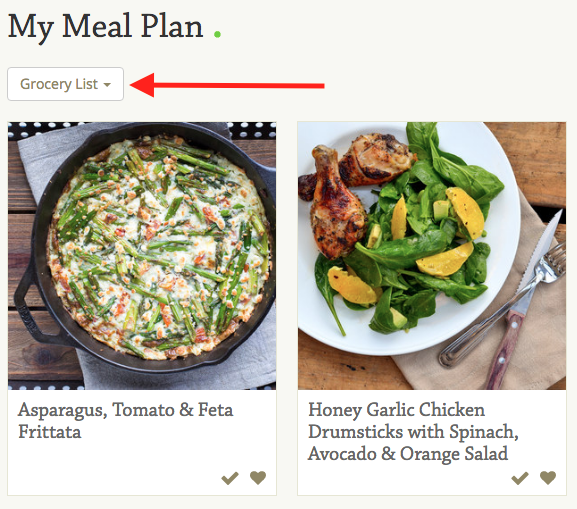 To print a printer-friendly version of your meal plan's grocery list, please log-in to the web app and enter your user credentials. Scroll to the bottom of the grocery list and click the printer icon, select your printer, and click Print. 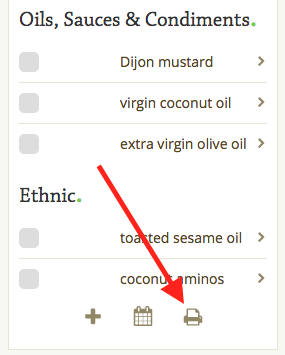 Once you've logged in to the web app, please open the grocery list (located on the 'Meal Plan' screen) by clicking on the button Grocery List.